I can’t count how many times I’ve been out running and almost hit by a moving vehicle. The only identification I can recall having in my possession during any of these close calls was my cellular device. While containing some personal information it would take an army of individuals and time to find a meaningful contact. Definitely not the most logical and possible life saving article that would aid someone in finding critical information. 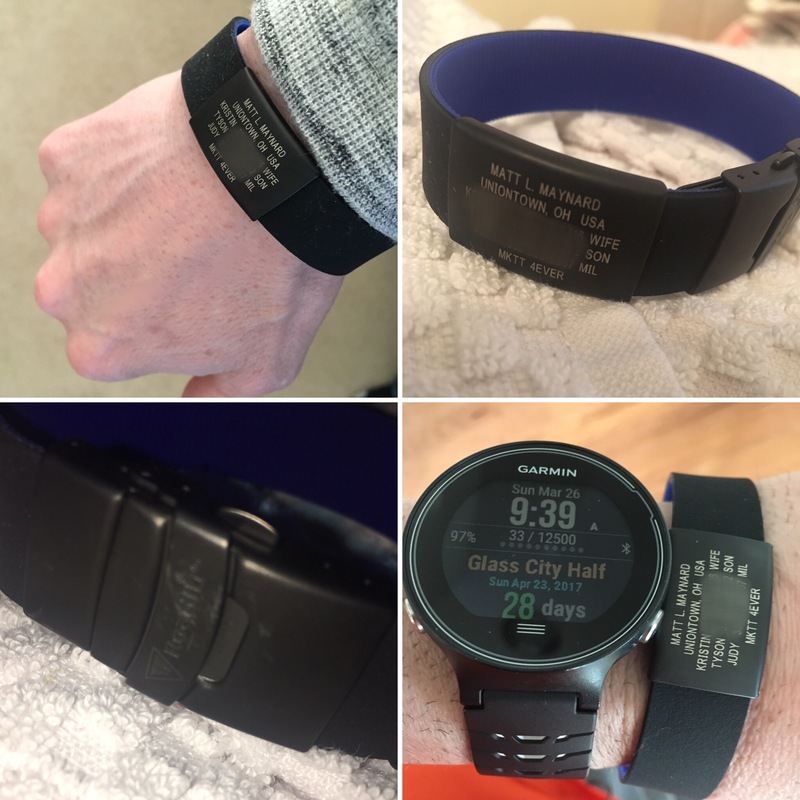 What if you didn’t have to carry anything at all, but in turn could wear a wristband providing that important information to first responders. Well welcome to Road ID. 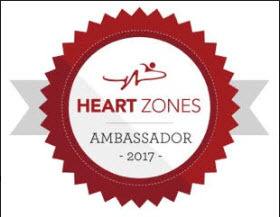 Road ID came to life from a runner who experienced what I started this review off with, an almost life ending accident. From that moment Road ID was born and the below mission speaks exactly to that. 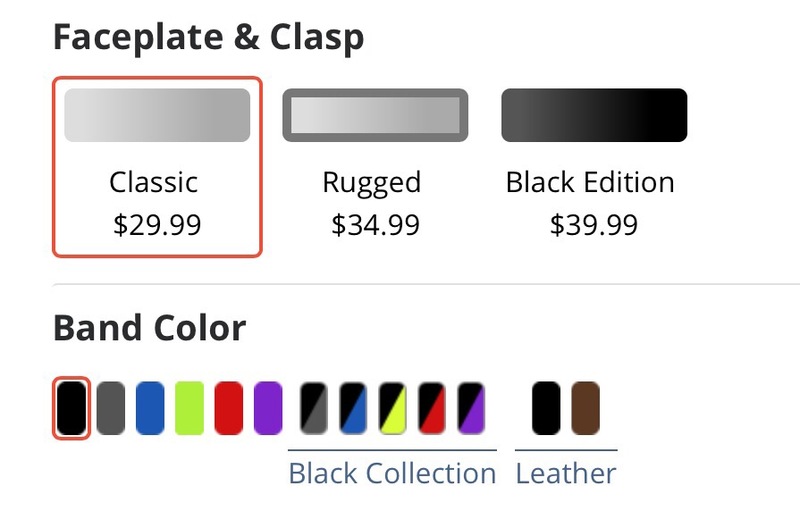 They offer various styles and an abudance of band colors to choose from. Creation of your Road ID identification band is easy and takes less than 5 minutes. As I received the Wrist ID Elite band the focus will remain here. The Wrist ID Elite Faceplate comes in three different styles: classic, rugged, and the black edition. I went with the Black edition faceplate and let me tell you it is awesome looking and I have no issues wearing into my client boardroom meetings. The next accessory to select is the band which comes in two styles: silicon or leather. The silicon band provides various color choices to select from and I went with the black and blue tone. Customizing the stainless steel faceplate is simple and they give you two options to choose from for the information that is displayed. Road ID provides you with recommended information to use, but the choice is yours. Want to add a custom message, go for it. I went with MKTT 4EVER. If you want to snazzy up your wristband there are several badges for you to add! The Original ID allows you to personalize all lines on the faceplate with important names and phone numbers. You can also personalize a motto if you choose to do so and they come with a lifetime guarantee. The Interactive ID allows for some personalization, however the last two lines gives First Responders access to your Emergency Response Profile (EPR), which can contain contacts, medical information, medications and insurance. You have the ability to change the information as needed, however the service does require a nominal monthly fee. 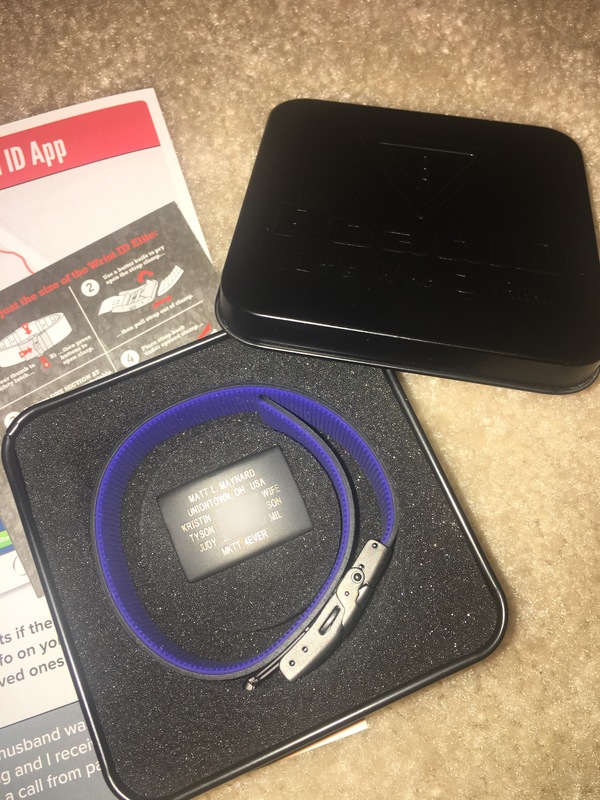 So my Wrist ID Elite band showed up and I was excited to say the least. I sized up the wristband, put it on and headed out for my first run. Easy peasy! The band itself won’t make some of the routes I run safer, but will provide me with the peace of mind that if anything should happen I won’t be just a John Doe on the side of the road. I have to honestly say I was worried about having another article to wear on my wrist, but after a few runs I have forgotten all about it. The latex free silicon band can be worn in water and is what Road ID likes to call, “hydrophilic”. All in all I think not only am I happy with the Road ID Wrist ID Elite, but my family feels safer knowing that should anything happen someone will have contact information. Now the important part is that the few I’ve listed on the faceplate answer the call if ever needed. For the nominal price (29.99 -39.99) this is a great investment and one that any outdoor enthusiast and more should consider. As you can see from the below testament the Road ID brands can benefit just about anyone. Both my children (ages 2 and 4) have Road IDs. I wear mine 24/7 and they wanted one just like Dad, so I figured, why not? We recently went to NYC for the triathlon and stayed at the event’s host hotel. The doors were always wide open, as there was a constant flow of bikes in and out. We were on our way out for dinner, when my 4 year old takes off running down the hallway as we left our room. Seconds later, I’m at the elevators but he is gone! He must have gotten on the waiting elevator. We immediately notified security and had them call all the elevators to the ground floor…but they were empty of any 4 year olds. I ran out to the NYC street imagining the worst…scanning the streets I didn’t see him. It had only been 5 minutes but now we were really scared…when suddenly our phones started ringing. I completely forgot he had his Road ID on. I was elated to hear the voice on the other side of the phone say “Hello Mr. Petersen, we have your son Max up here on the 40th floor.” We rushed up there to find him happily eating a cookie, surrounded by about 20 people. As soon as my wife saw him she was in tears and every parent there said ‘I’m getting one of those for my kid!’ Niels P.
This right there has me definitely thinking about purchasing one for my children. We can never be safe enough! So definitely check out the various styles of identification brands that Road ID has to offer and let everyone else know “It’s Who I Am”. 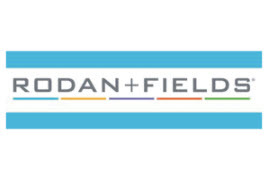 In the meantime you can use the following link which will provide a $5 gift-card to use towards their Road ID purchase: bit.ly/2ocFWMl Don’t miss out! 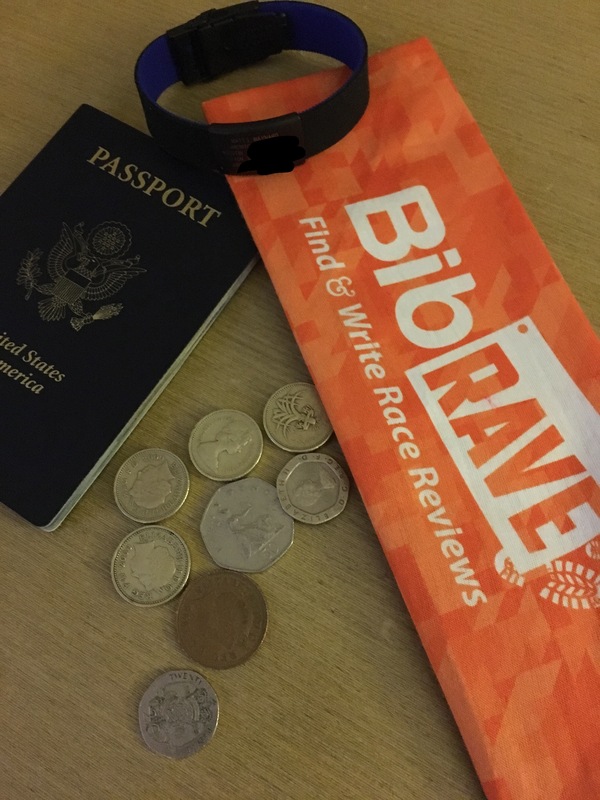 Make sure to follow along with Bibrave’s #bibchat on twitter on 4/18/17 @ 8pm CST where two lucky participants will win a RoadID Wrist ID Elite! 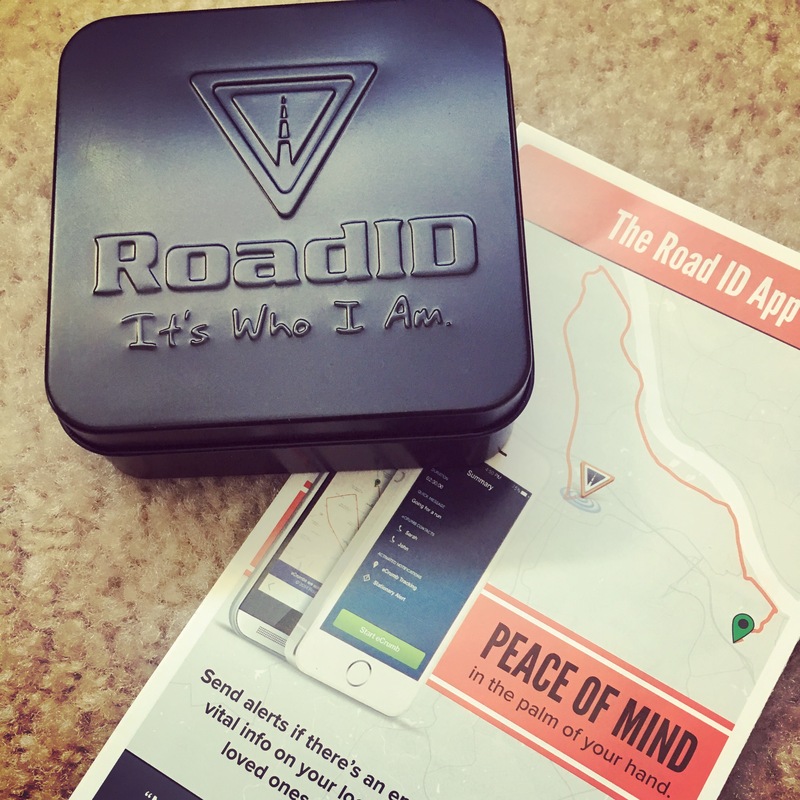 Connect with Road ID on Twitter, Instagram and Facebook! 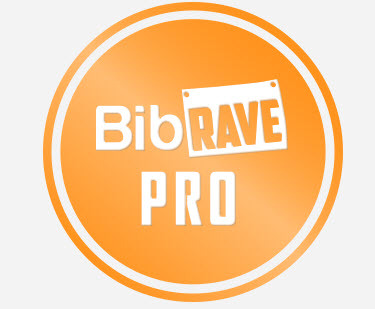 Read other BibRavePro reviews on the Road ID Mai, Meredith, Vanessa and Heather.